After the bay of pigs, one of John F. Kennedy’s governments’ most sounded failures, the US wanted vengeance against Cuba. They could not bear to have been ridiculed so publicly by the socialist government they so dearly hated. Therefore the Cuban trade embargo was imposed and signed by the president in 1962. 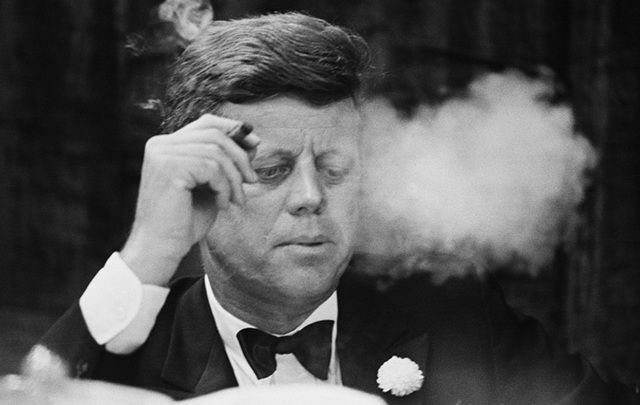 What is not so well know is that John F. Kennedy was a big cigar smoker. Matter of fact a Habano cigar smoker to be specific. 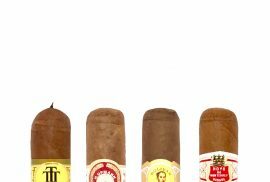 His favorite cigar was the Petit Upmann. Pierre Salinger, the head of press for the Kennedy administration, recalls a very interesting and ironic memory from his times with JFK. One morning president Kennedy asked Salinger for a very important task. 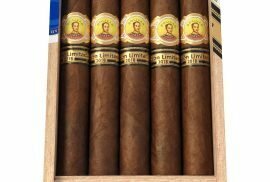 He asked for him to get 1’000 of his favorite cigars, the Cuban Petit Upmanns. Salinger asked when would he need them for, and the president replied that he needed them for the next day! Surprised but disposed, Salinger took his task seriously and went to his trusted stores and purchased all the cigars he could for Kennedy. It was a hard task, stocking up on so many cigars of a specific type in such a short notice. But still he was able to accomplish it. The next day on February 7th of 1962, Salinger walked into Kennedy’s office, and the president immediately questioned him about the cigars. Salinger, proudly, confirmed he had been successful and had snatched 1’200 petit Upmanns for him. 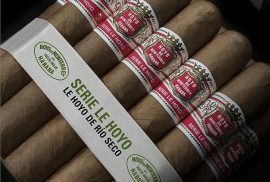 The president was delighted and got straight to other business, which in this specific day was signing the trade embargo of 1962 with Cuba, making all Cuban products illegal in the US. 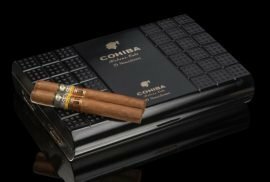 This meant that from that moment buying Cuban cigars was illegal in the US. What a coincidence! For all of you that haven’t had the chance to dive into Cuba’s History, we encourage you to watch Netflix’s documentary Cuba Libre. 10 episodes full of interviews and testimonials from journalists and Cuba experts.